July 1, 2017 6 comments on "Blackberry Jelly Recipe"
Most people have a strong personal preference for jam vs. jelly. When you make jam, you leave pieces of fruit in the jam, and it is thick. When you make jelly like this blackberry jelly recipe, all of the fruit and seeds are removed, leaving just the juice. Then you prepare the jelly from the juice. I’ve made and canned blackberry jam several times, and my family really didn’t care for all the seeds in the jam. I normally like jam, but blackberries do tend to have lots of seeds. I decided to try canning blackberry jelly instead this year, and it was so worth it! 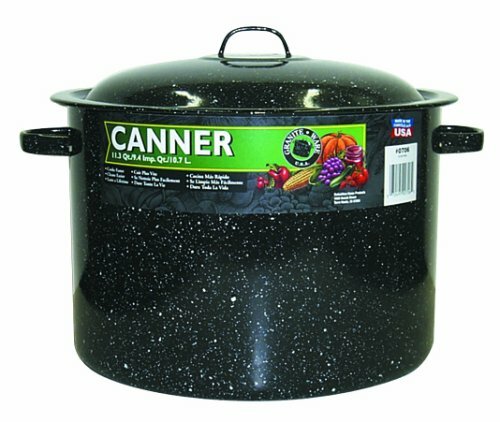 Blackberry jelly is now one of my favorite top 10 easy homemade jelly recipes for beginning canners. It is a little extra effort making the jelly, but the flavor is out of this world. And no seeds! *Note: You can prepare this recipe with any kind of berry. You can also combine berries if you want a mixed berry jelly. Just make sure you end up with 3 1/2 c. juice to prepare the jelly. Wash blackberries and remove stems. Place blackberries in large stock pot with about 1 c. water to keep them from sticking to bottom of pot. Bring to boil and simmer for about 10 minutes, or until blackberries are soft. 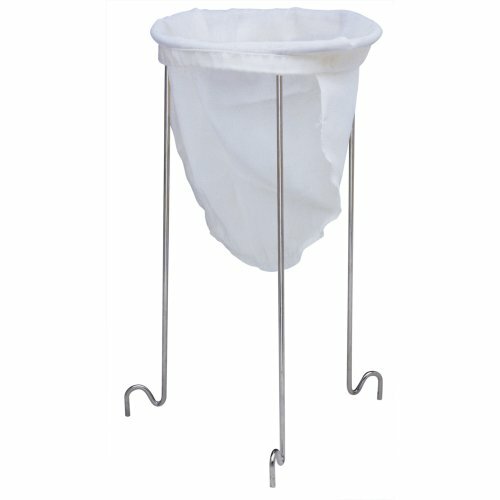 Extract juice from blackberries with a jelly bag or fine mesh strainer. Measure juice, adding a little water if necessary to get exactly 3 1/2 cups of juice. Pour blackberry juice into a large stock pot. Sprinkle the pectin on top of the juice and use a whisk to mix it together. Stirring constantly, heat until boiling. Boil for one minute. Add the butter and return to a boil. Add the sugar to the pot all at one time (measure it and have it ready ahead of time). Stir until sugar is dissolved. Return to a boil and boil for one minute. Remove the pan from the heat. Remove any foam with a metal spoon. Ladle the jelly into hot sterilized jars, leaving ¼ inch head space. 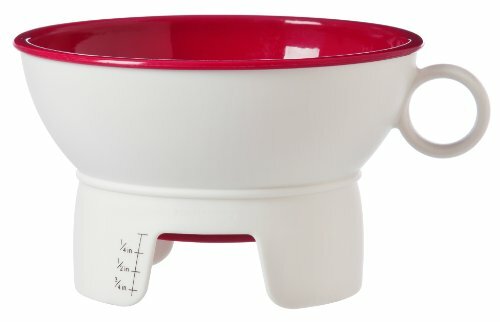 You can easily measure the head space with this canning funnel. 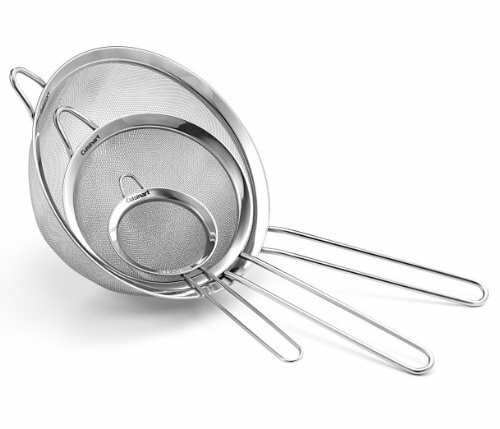 Process the jars in boiling water canner for 5 minutes. Note: Jelly can take from several hours to several days to completely set. Place the jars on a towel on the kitchen counter to cool and don’t disturb them for several days so the jelly has time to set. If after several days the jelly is still not set, then follow these instructions. 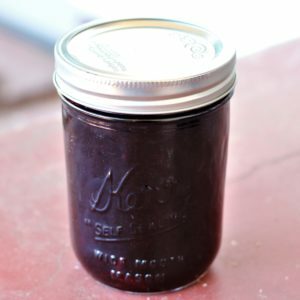 6 Comments on "Blackberry Jelly Recipe"
I just have a quick question. The written recipe has 5-6 cups and the video has 11 cups, however the sugar for the 5-6 is 5 cups where the video is only 4 1/2. I don’t want a tart jelly so is the the correct amount of sugar for the 11 cups? I tend to like things on the sweet side. My first time so didn’t dare to change anything. HELP!! Hi! Sorry for the confusion 🙂 Either recipe will work fine, but the 5 cups will definitely be a bit sweeter if that’s what you’re looking for. I just made some last week. Yum! Thank you for this recipe! 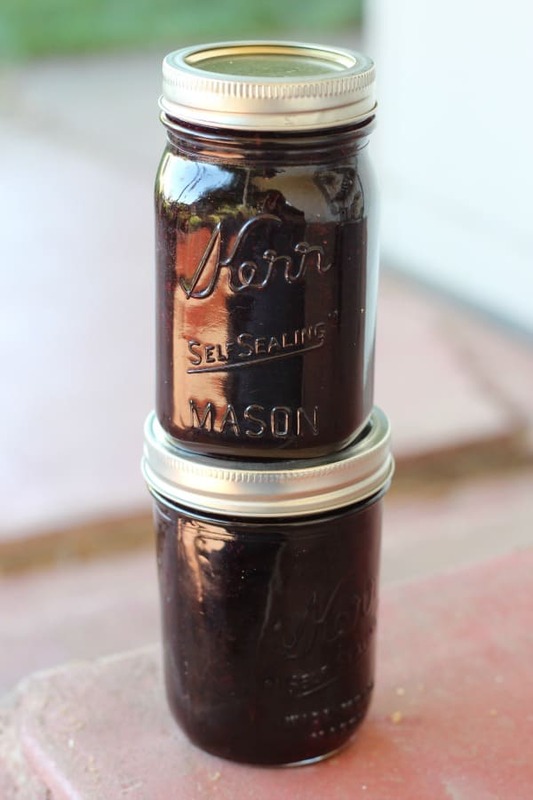 I was able to fill up one dozen 4oz jam jars perfectly! The only thing I didn’t find was when to put the lemon juice in. I read your recipe a couple times and listened to your video 3 times, but didn’t hear/read any mention of when to add the 2 tbsp of lemon juice. Hi! I looked up a couple of other recipes, and it doesn’t look like the lemon juice is necessary, so I am going to go ahead and take it out of the recipe. It certainly doesn’t hurt if you did add it to your recipe, but it is not necessary for this recipe. Thanks for catching that! Thank you so much. After going thru several sites, this one seemed to have the simplicity I was looking for. The jelly came out great, with the perfect sweet and tangy taste because of the berries being the tamed berries that are so much more sour that the berries in the fields. I truly appreciate it and will have it as my stand-by recipe for blackberry jelly from now on. No need to look anymore.